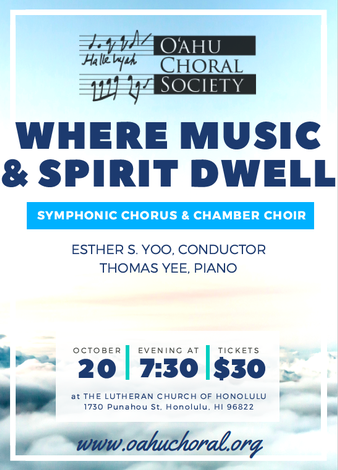 OCS opens the 2018-19 Season at the Lutheran Church of Honolulu with music that mingles and dwells in nostalgia, in awe and wonder, in prayer and in need for comfort. Highlighting some of the current generation of composers, imaginative musical settings and gorgeous harmonies echo throughout this evening's concert. Come, let's journey together this night.